The Young Machinists Committee at Local Lodge 2515 began the “Santa Paws” campaign a few months ago to help our homeless four legged friends. According to Young Machinists Committee Chair, Michael Rodriguez, the committee worked with the members and community to collect supplies and donations. The committee also worked in conjunction with a local radio station (Country 99.5) to get the word out. 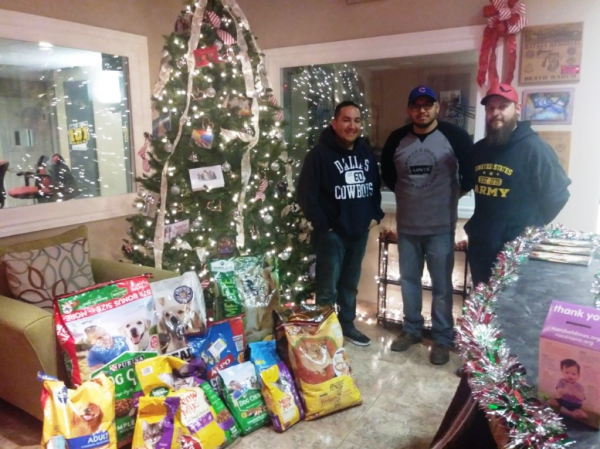 Brother Rodriquez said they worked with members and the community to collect and donate 246lbs of supplies and $300 to the Zia County Animal Shelter.